A battle at long snapper? Yes, you read that correctly. Daniel House thinks the Vikings could have a new long snapper for the first time in 11 seasons. The Vikings specialists didn't provide their best performance in 2014. Blair Walsh and Jeff Locke both struggled with consistency and it certainly impacted the team's performance. A bounce back year is necessary for the special teams unit to get on track. This year, we will have the first position battle we have witnessed among the specialists in recent seasons. Cullen Loeffler didn't perform well last season, and at 34 years old, the coaches decided it was time to bring some competition to training camp. Kevin McDermott will challenge him and there could be a new long snapper in Minnesota for the first time in 11 years. Last season, Blair Walsh was asked to make the adjustment to kicking outdoors for home games. With that being said, there were definitely some growing pains that came along with it. Walsh posted his lowest kicking percentage (74.3%- lowest of all 32 NFL kickers) of his three-year career. What's more, Walsh finished 20th in the league among kickers with 107 points. The real issues came with consistency throughout the entire season. Walsh made just one of his six kicks in weeks 14-15 and was in his first slump as a kicker in the NFL. However, where Walsh made his mark was in the kick-off aspect of the game. He was sixth in the league in touchback percentage, hitting 63.2 percent of his kickoffs for touchbacks. With a year of playing outdoors under his belt, the coaches hope Walsh can bounce back and be more consistent in 2015. Maybe some of the issues were related to poor long-snapping or holding. It could have played a role and maybe it will lead to a change in how the specialists group is structured. Many people believed that the Vikings would bring in competition for Jeff Locke in training camp. Despite an inconsistent season, the team opted to give Locke another chance. According to PFF, Locke finished 21st in net average (38.7 yards). His punts reached the end zone for touchbacks six times and he clearly couldn't control his punts to land inside the 20-yard line. Again, some of these issues could be attributed to poor protection issues and inconsistent snaps. Nonetheless, Locke still couldn't get the space and distance necessary to be successful. He needs to rebound to help the Vikings control the field position battle. The Vikings resigned Cullen Loeffler to a one-year contract, but brought in outside competition for training camp. The team is seriously looking for an improvement at the long snapper position this season. Loeffler was rated as one of the poorest long snappers in the league, according to Pro Football Focus. His snaps were low on a consistent basis and Jeff Locke was constantly adjusting to compensate for this. The game that comes to mind is last season's matchup with the Miami Dolphins. Loeffler was snapping the ball very low in that game and it resulted in a partially blocked punt. In his day, Cullen Loeffler got the job done, but you can definitely see he has lost velocity and consistency on his snaps. The Vikings signed Kevin McDermott to see if they could upgrade this position to gain more continuity among Blair Walsh and Jeff Locke. Kevin McDermott signed with the Vikings in the off-season to provide a competition for veteran Cullen Loeffler. The team needs to upgrade their performance at this position and the hope is that a young body could be enough to do this. McDermott played at UCLA and actually snapped the ball to Jeff Locke during a portion of his college career. This is another positive of the situation and might provide a confidence boost and performance upgrade for Locke, as well. 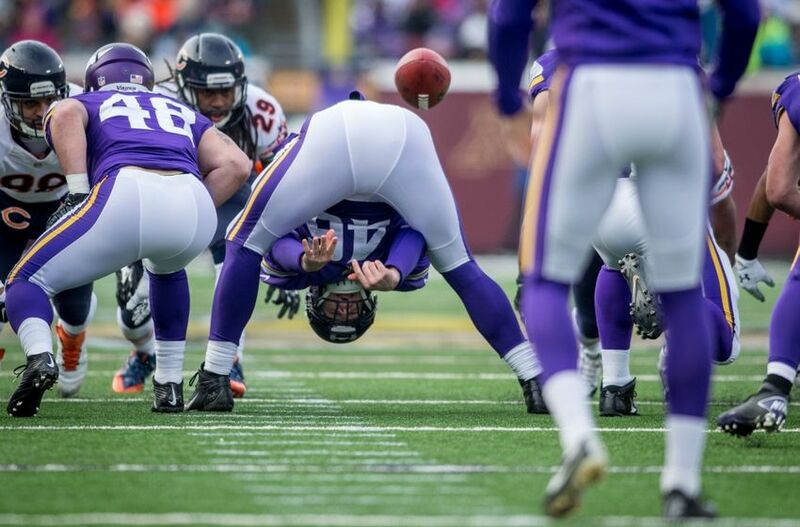 The Vikings are going to let this battle persist throughout camp, but only one person will be crowned as the long snapper of the Minnesota Vikings.